Newest !!! 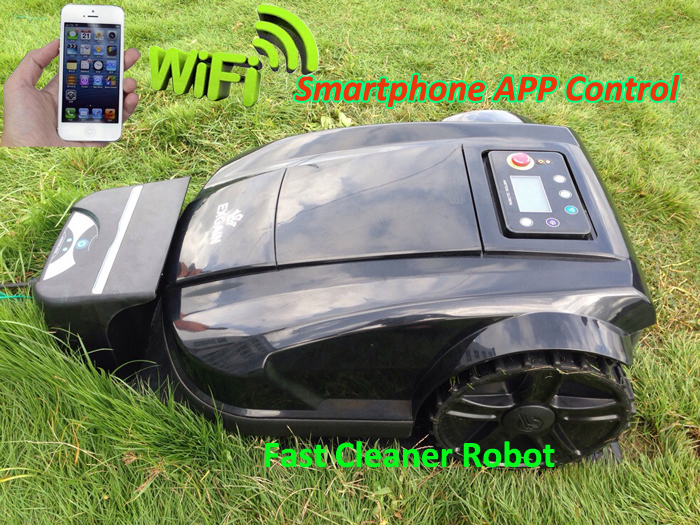 Robot lawn mower S520 is our 4th generation robot lawn mower and latest robot lawn mower came out in last month. 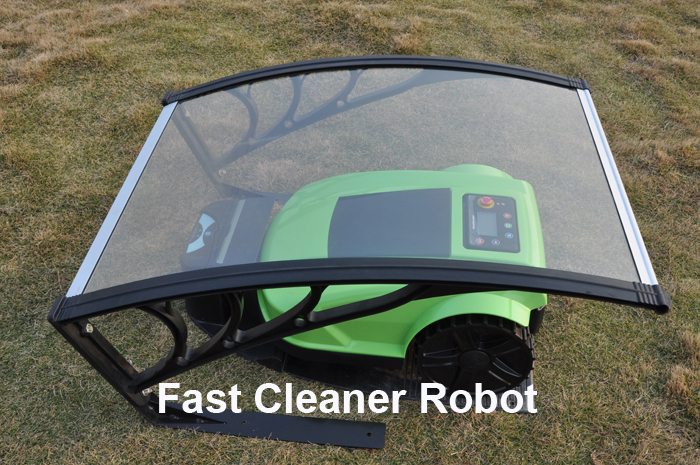 More advance funtions like: pressure sensor, touch sensor,rain sensor, bump sensor, autorecharge, subarea setting, mowing schedule and so on. Use solid core wheel for S520, heavier rear wheel than it used for S510, it can keep from slippery when running on slopes and hills. 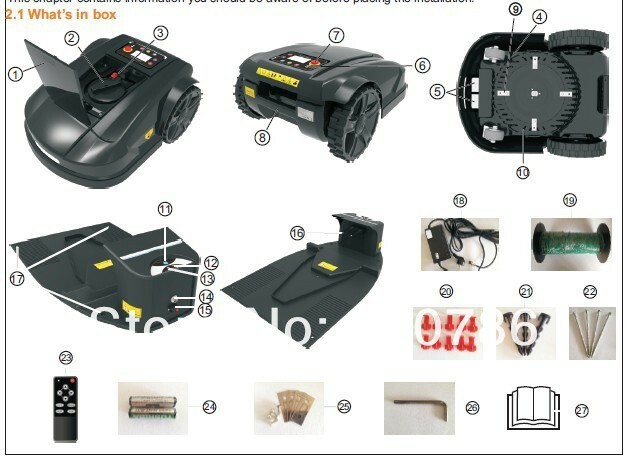 Please check the picture attached, increased the cutting width,also each blade with four sharp edges, every edge can used if one damaged by hard stone or other objects. The bumper function is good enough. 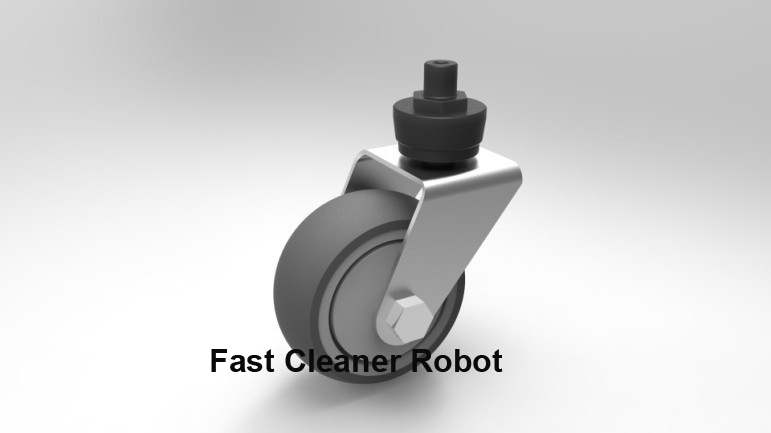 Use PPR material for the front wheel, it is softer than the original one, and against the vibration when working on the lawn.Also the front wheel with stainless steel holder, against rusting after long time using. with the charging station, two charging heads connect the copper sheets perfectly. 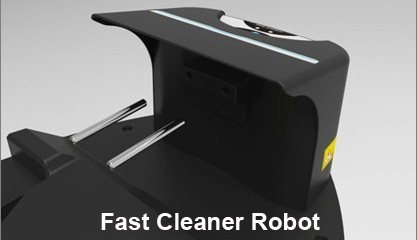 Change the running pattern for the line mode(Line function on):before:user has to put the robot on the back of the charging station to start, the robot will follow the wire cutting first.it is not user-friendly. 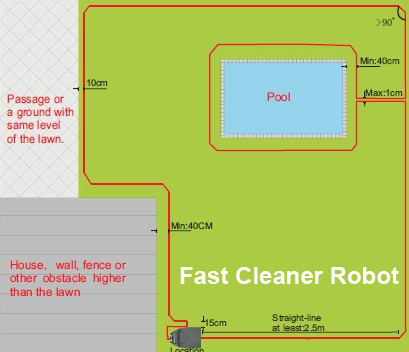 Now:The robot started on the wire or inside the virtual wire, the robot will find the virtual wire and follow it to the charging station, meet it, then back from the charging station and circle to the back of the charging station, and follow the virtual wire cutting until meet the charging station again, then back to the lawn for cutting continuously. 1. Usually ,we send it by DHL&FEDEX&UPS or TNT instead of EMS. If you want to choose another shipping way ,pls let us know. 2.In order to ensure you receive your order with tax free or lower tax upon import,we’ll declare it as a”gift” with a lower value”50$”,if any import charges or fees are the buyer’s responsibility. 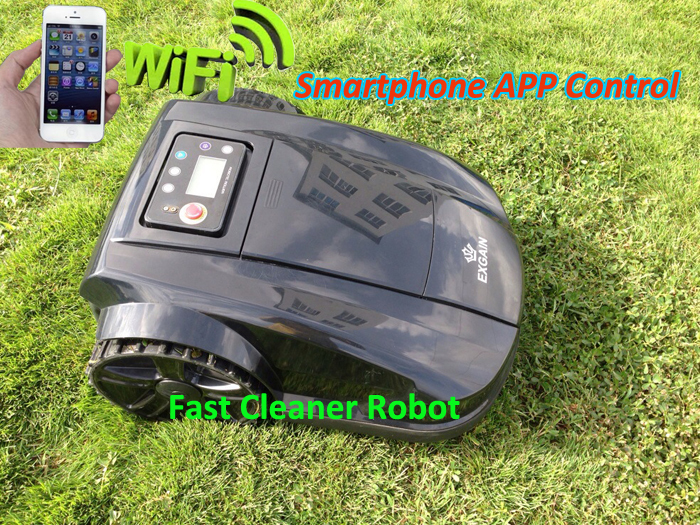 * All of our offers are backed by 100% satisfaction guarantee,if for any reason you are not satisfied ,you can return the item to us in it’s original condiion for a refund or an exchange.Before mailing us back the item,please contact us for the detailed return&exchange instruction.We will return all your money except the shipping and handling fees after we receive your return items.